The OptionTrader simulation puts the participants in the seat of an option trader. The participants have to monitor the markets and act on news and price changes. At the same time they give two-way prices and manage risks. 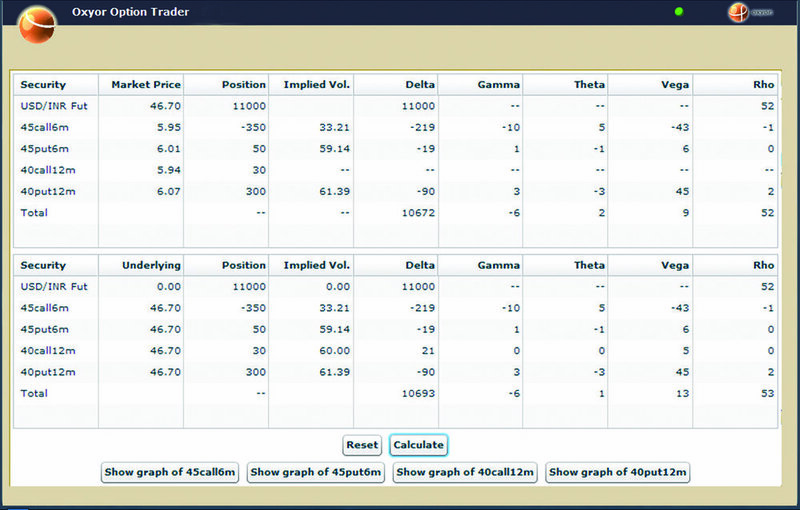 Specific for the OptionTrader simulation is the inclusion of the option greeks and market volatility information. During the OptionTrader simulation, the participants will experience the continuous demands and stresses,the need for rapid responses and disappointments that an option trader in practice experiences on a daily basis . The players will be required to adapt their views and option trading strategies when faced with changing market conditions. The inclusion of the option greeks will demand much more risk management skills of the participant than in the MarketTrader simulation. The OptionTrader simulation is also an excellent tool to test the practical knowledge on options of the players. As in the MarketTrader simulation the participants interact with other market players, both real (other participants in the same trading session) and fictive. They trade using a pre-programmed scenario from an actual trading period. However, the scenario can be manipulated from the control panel during the session in order to test various abilities of the individual participants. The OptionTrader simulation has many similarities with the MarketTrader simulation. During one OptionTrader simulation session, normally lasting around two hours, one or more trading days are simulated. The length of a session can vary depending on the experience of the participants. An OptionTrader simulation session can also be stretched to multiple days in order to show the impact of overnight positions. A first-time session typically requires either one to two hours of pre-simulation e-learning or a 60-minute presentation before the start of the OptionTrader simulation. After the OptionTrader simulation session, the instructor has the possibility to provide the participants with both general (group) and individual feedback. The feedback session usually takes between 30 to 60 minutes.